ABLEnow: Can You Save Without Impacting Benefits? Many Americans with disabilities think old rules still apply—that they can't save for the future if they are receiving means-tested disability benefits. However, new ABLE savings accounts remove these limitations, offering financial peace-of-mind for millions of eligible individuals and their families. ABLE accounts are the result of nearly a decade-long, cross-disability advocacy effort. The idea originated with a group of Virginia parents who recognized the unfairness of not being able to save funds in their child's name for fear of losing essential benefits. The effort received strong political support across party lines. The Achieving a Better Life Experience (ABLE) Act of 2014 was supported by 85% of the entire U.S. Congress, according to the National Down Syndrome Society. This law has been heralded as one of the most significant pieces of disability legislation since the Americans with Disabilities Act. The federal legislation opened the door for ABLE programs, which must be set up and administered by a state. In 2015, Virginia became the first state in the country to pass ABLE legislation after the federal ABLE statute passed. 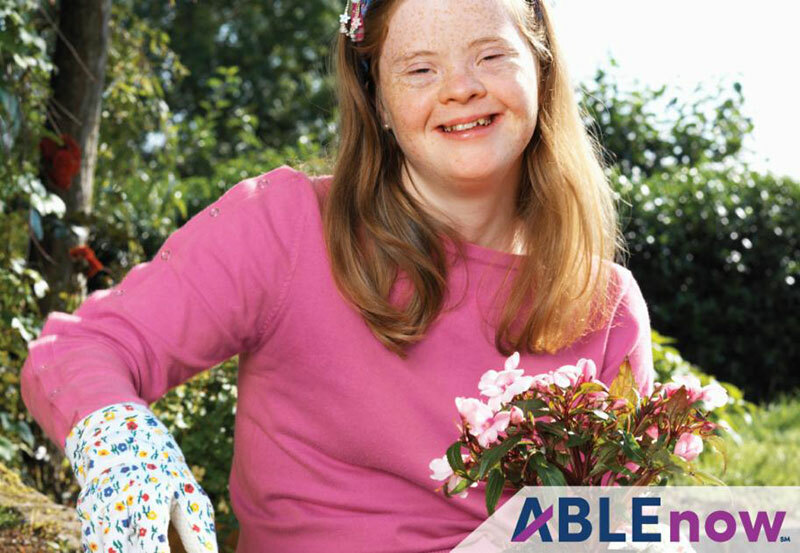 This state legislation authorized development of the Virginia-sponsored ABLE program, ABLEnow. And thanks to a 2015 amendment of the ABLE Act eliminating a state residency requirement, ABLEnow accounts became available to eligible individuals in all U.S. states in 2016. As someone well-acquainted with limits, Laura Robb explains that it can be frustrating when the government adds another layer of limits. "Programs like Medicaid allow me to live in the community and have caregivers at home. However, there are rules attached to such programs, telling me I cannot save money without losing the benefits that I need," explains Laura, who's had a physical disability since birth. "These rules make it hard to be truly independent." When Laura heard about ABLEnow, she eagerly opened her account online. 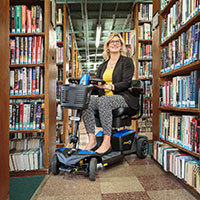 Now, she has the opportunity to put money aside and work toward more independence. She plans to attend graduate school with the funds she's saved. This new financial tool offers more independence, greater financial security and a better quality of life for people with disabilities. Eligible individuals can save for today's needs or invest for tomorrow in a simple, affordable and tax-advantaged ABLE account that won't jeopardize means-tested benefit programs such as Medicaid and Supplemental Security Income (SSI). Parents of children with disabilities often worry about what will happen when they're no longer around, explains ABLEnow customer Kimberly Hudson. She and her husband Burt wanted a savings account that could be used for their son Jack's education costs with the flexibility to cover other expenses related to his Down syndrome. With ABLEnow, Kimberly says her fears are diminished. "We are thrilled that Jack can now have money in his name without jeopardizing the critically important programs that he relies on." The ABLE Act currently limits eligibility to individuals who developed the onset of their disability before turning 26 years of age. Individuals who meet this age criteria and are also receiving benefits already under SSI and/or SSDI, are automatically eligible to establish an ABLE account. ABLEnow offers an online quiz to help explain the eligibility requirements. Learn more and open an ABLE account online at able-now.com.